Guess Who Got a Garden Plot? 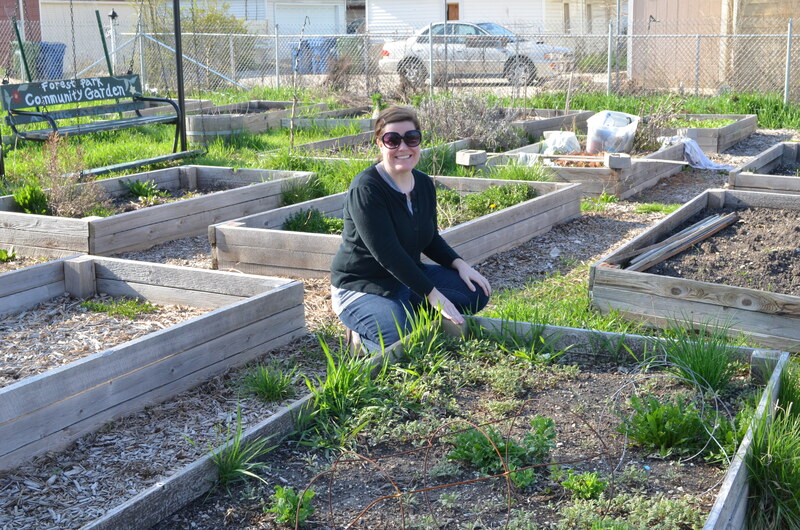 Shortly after posting this on Thursday night, I got an email welcoming me to the Forest Park Community Garden! They assigned me to plot #6 so Naoto and I went over on Sunday afternoon to check out our space and get a feel for the garden. 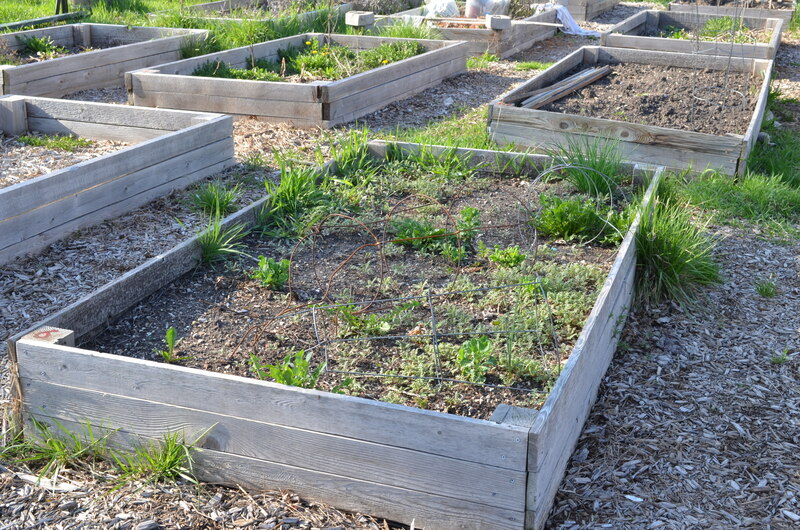 Plot #6 is in the middle of the garden and it’s looking pretty weedy right now. But, hey, it also came with a few tomato cages! This week I will be trying to decide what we are going to grow and (hopefully) picking up a few plants or getting a few seeds started here at home to move over to the garden. And we have a gardening orientation on May 11th…just in time to start planting full force. I’m looking forward to the orientation because both times Naoto and I have visited the garden, it’s been deserted…it will be good to get to know some of the other gardeners in our community. The garden is within walking (& biking) distance of our apartment. 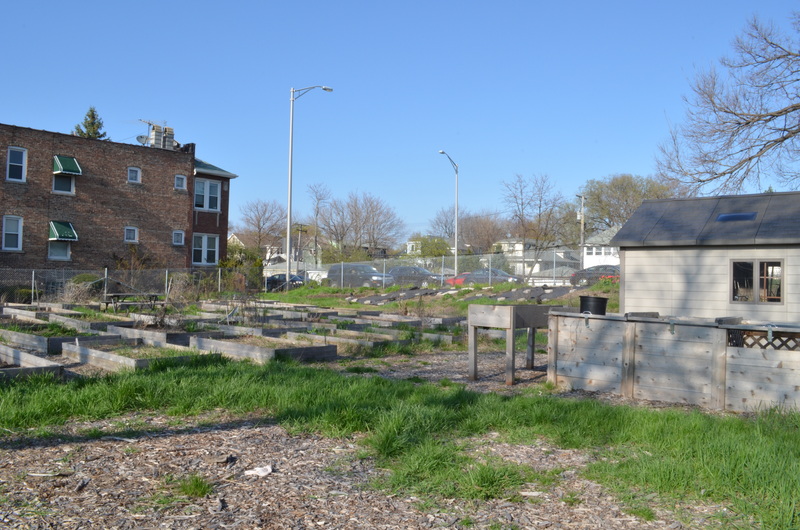 It’s located at the corner of Harlem Avenue and the Eisenhower Expressway, tucked between those two roads, an alley and an apartment building. It’s very “urban gardening”…kind of a weird spot, but it totally makes sense when you think about open space in a city. I’m definitely excited to get started and to hopefully (crossing fingers, crossing toes) enjoy some fresh vegetables throughout the summer. And so far, Naoto is just as excited as I am–I hope our enthusiasm continues through the hot summer! Are you a gardener? What is the best thing you’ve grown? Do you have any advice for two newbies? Good for you. I hope you enjoy all those healthy veggies this summer. You & Naoto can have some quality time gardening. Enjoy! Yay–congrats! You’re in for some great fun. 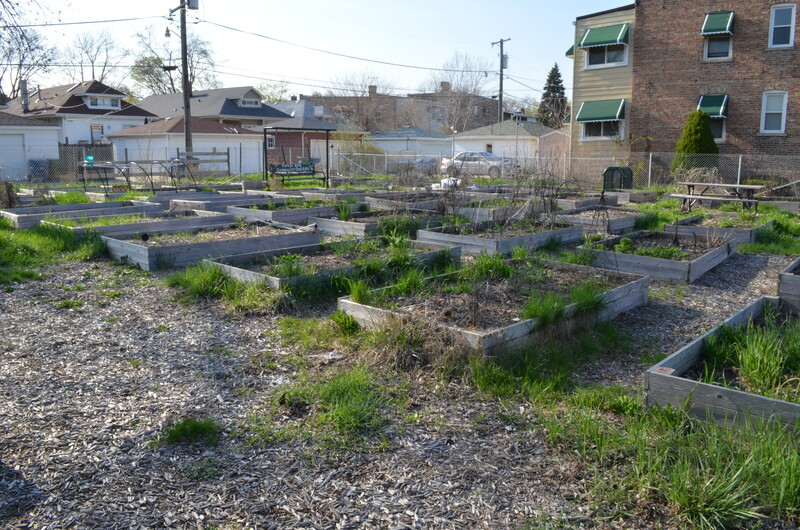 I still miss our little community garden plot.